The artwork is a historical and personal reflection on migration, dispossession and the role that language plays in creating a sense of identity and belonging. The work draws on the hand-written letters of 19th and 20th century immigrants, and the experiences of Thylacine project artist Shaun Kirby (a child migrant who arrived in Adelaide in the 1960s). 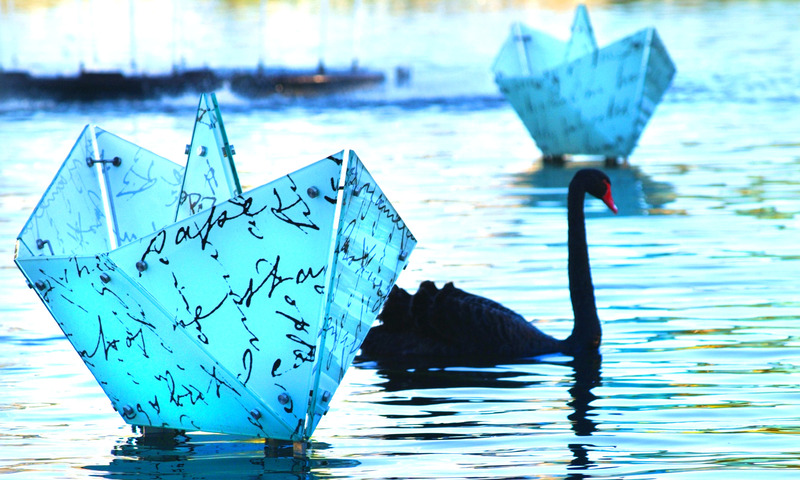 In addition to the ‘floating’ glass forms, the work features a shore-based element containing a text developed in collaboration with the Kaurna Warra Pintyardi Indigenous language working group.